This is our ONTRAPORT review. What is ONTRAPORT? ONTRAPORT is one of the best emailing marketing services on the market. ONTRAPORT helps you build your mailing list and perform mass mailing services. With ONTRAPORT, the email marketing service allows you to track all your campaigns in flowcharts and a visual builder. ONTRAPORT is considered as one of the best emailing marketing services on the web. It's one of the many email marketing service in a crowded market. 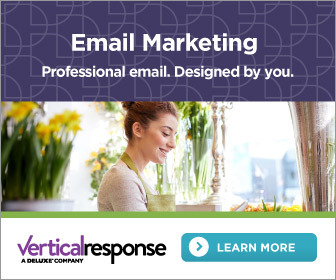 There's Aweber, Vertical Response, and MailChimp offering similar email marketing services. However, ONTRAPORT is unique, distinctive, and offers premium services. It's one of the reasons why it makes them stand out in a crowded market. Also, ONTRAPORT is an all-in-one solution to help you build your brand, your mailing list, and manage a customer's journey. They offer landing pages, a visual campaign builder, personalized emails, texts, postcards, a membership site management tools, a multi-channel, business automation, advanced reporting tools, and many more features. For all the features, click here. ONTRAPORT maps out the whole marketing process from leads to purchases. It's the perfect tool to build your mailing list, perfect your marketing emails, and control your whole marketing funnel. ONTRAPORT provides a visual map for every step in your marketing campaign. Is ONTRAPORT a mass mailing service? I don't think it would be a correct statement. They're a mass marketing solution that offers everything under the sun from a referral program to sales force automation to membership sites. In addition, you can integrate ONTRAPORT with Wordpress, Shopify, Thrive Leads, Fresh Desk, Member Mouse, WooCommerce, and many more applications. Full list here. With all their integrations, the argument is strong for ONTRAPORT. It's definitely more than an emailing marketing services solution. Do we think it's the best email marketing services on the market and then some? Let's find out. ONTRAPORT combines online and offline marketing campaign assets. It takes customers through your whole brand's lifecyle, which isn't something other email marketing service can do. With ONTRAPORT, you use automation to route leads and customers through your marketing funnels based on their behaviors and preferences. They provide "targeted" journeys to generate the best results and helping build long-term relationships with your audience. In addition, ONTRAPORT marketing automation toolset is sophisticated enough to nurture prospects and current clients. It provide a series of steps tailored based on custom triggers, so each client or prospect has a unique experience. Also, you can incorporate texts, emails, and more to the funnels. ONTRAPORT allows you to customize the settings and timing of each action to control a contact's marketing journey. What's great about ONTRAPORT approach is everything is seen via their visual builder! They definitely provide something more than a mass mailing services. ONTRAPORT's business automation suite is another all-in-one solution to save time, scale your business, and create a consistent brand experience. It's not something other email mailing service currently provide with their service. ONTRAPORT automates follow-ups, information collecting, and recurring processes; it pulls all the data into one place for you to analyze instead of using multiple systems. ONTRAPORT helps you scale your business. How? They help you streamline procedures to increase output and improve your processes. With improve processes, you can better manage marketing and sales efforts then better predict results. This is will help you optimize your results and improve on your marketing funnels. With ONTRAPORT, you can better manage your time and your team's time. Furthermore, ONTRAPORT helps you automatically send useful content and interaction to add value. This will create rapport between you and your prospects to help close the deal. ONTRAPORT'S email marketing service is on steroids compared to the other emailing marketing services. Lastly, with ONTRAPORT, you can automate your new client on-boarding process, so you can tend to current client's needs. ONTRAPORT's case as one of the best email marketing services is strong here. ONTRAPORT offers amazing Landing Pages with its built-in creator -- ONTRApages. The Landing Pages can be published in a minutes. It doesn't take a computer wiz to do either. ONTRAPORT's high-converting templates are beautifully professional and can be personalized to match your brand; each online order, lead captures, content page, or online order is 100% mobile responsive and function on every screen size. In addition, ONTRAPORT's all-in-one platform can send your prospect's information straight to your connected CRM database. Don't have your own domain? No worries. ONTRAPORT's one-click hosting provides secure and quick publishing without a thought. 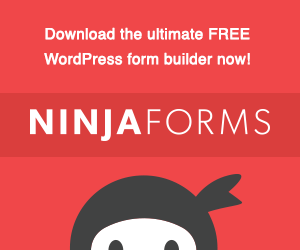 Want to save your customer's or prospect's time with forms? Easy. ONTRAPORT has pre-filled forms with visitor's stored data for quicker opt-ins. ONTRAPORT takes their email marketing service to another level with their membership site suite. ONTRAPORT's membership site suite uses fewer tools to helps you monetize your expertise with recurring income. 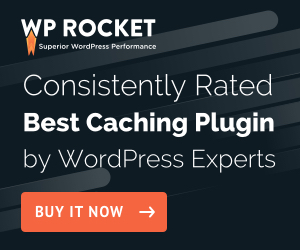 It's all seamlessly integrates into your Wordpress site to restrict premium content for your paid members. In addition, you can easily process payments, send invoices, manage inventory, set up delivery processes, and send follow-up emails all in one place. Still your ordinary email marketing services? I don't think so. I'm going to say it's the best emailing marketing services on the market. and more! Full list here. ONTRAPORT takes it to another level with its Affiliate Program suite. This is not something other email marketing services include in their service. The other services only provide mailing list building and mass mailing services. However, ONTRAPORT is truly an all-in-one solution to monetize your business. What's an affiliate program? An affiliate program (aka "referral" program) where partners get paid commission for any leads. It helps drive revenue for your business. It's extremely helpful in growing your business because you have people vouching your services. In other words, they're your brand ambassadors or better known as "influencers" on Instragram. and much more. See full list here. See all of ONTRAPORT's features here. ONTRAPORT email marketing service? No. It wouldn't be the right label for them. ONTRAPORT is more than mailing list building and mass mailing service. ONTRAPORT is a complete marketing and eCommerce solution for Wordpress sites. They automate every single process from capturing leads, handling the client intakes, client relationship management, affiliate marketing, and memberships. Best emailing marketing services? Definitely the case. Best eCommerce solutions for Wordpress? ONTRAPORT's name is definitely in the drawings for that label.